Hours: Monday - Friday, 6:30 a.m. - 6:30 p.m. 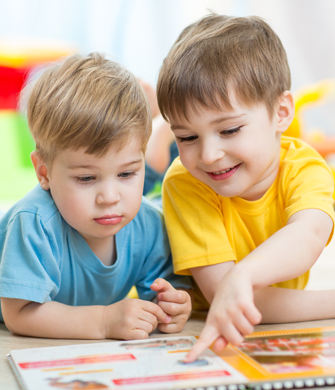 Since 1984, our family-owned daycare center in Lewisville, TX, has offered comprehensive child care services for children ranging in age from Infants to 5 years of age and afterschool care. At Blossom Valley Academy, we are committed to creating a nurturing environment that fosters a positive learning experience for all of the children who are enrolled at our center. Our director has a Master's degree in education, which ensures that all of our practices focus on creating the highest level of academic enrichment for our students. At our daycare center, we not only take care of your children, but we prepare them for the future with proven educational tools. When you're looking for high-quality care at an affordable price, you can trust the experienced staff of our child care center to provide the solutions your children need to succeed. With a meal prepared on-site each day, we make sure that your children have a nutritionally rich diet that enables their brains to function at their full potential so they can absorb all of the information that they encounter throughout the day. Our friendly staff is dedicated to providing exceptional early childhood education to all of the children who are enrolled at our day care center. In addition to creating a solid educational foundation for your children, we are committed to reinforcing the lessons that we teach by educating our second-generation students with valuable programs that build upon the things they've previously learned. That way, they'll be able to use the knowledge they've gained as a basis for their academic career when they begin attending school. Our children's academy is certified by the Texas Rising Star program to be a child care provider, which means that we consistently comply with minimum state licensing requirements. As part of our certification, we constantly strive to exceed the standards for director and staff qualifications and training, caregiver-child interactions, curriculum, nutrition, indoor and outdoor activities, and parent education and involvement. This state licensing certification ensures that we will always provide your children with superior care and a level of education that is backed by the highest standard of professionalism. When you're ready to give your children the education and care that they deserve, you can depend on us to help them Blossom into their full potential. Contact us when you need a day care center. We care for children from Lewisville, Lake Dallas, Flower Mound, and Coppell, Texas. Let your children Bloom at our daycare center!